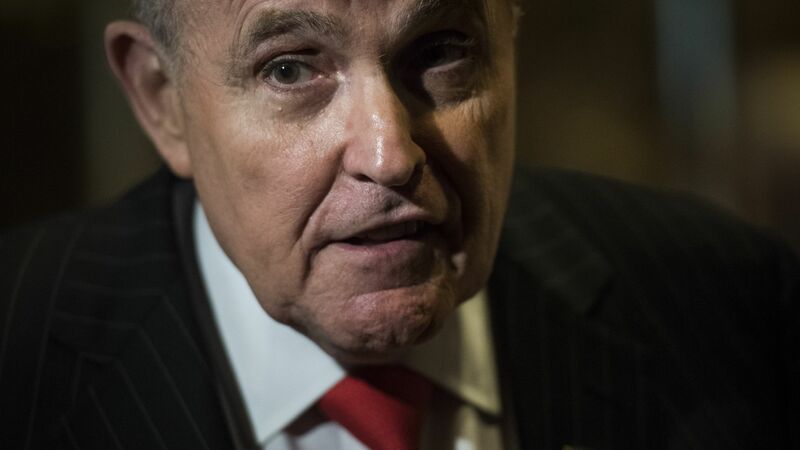 President Trump's attorney Rudy Giuliani told CNN and Fox News Wednesday that Special Counsel Robert Mueller's team told Trump's legal team that they have acknowledged — "after some battling" — that they cannot indict a sitting president. Be smart: The Office of Legal Counsel in the Justice Department has long taken the position that they do not have the power to indict a sitting president. However, as CNN pointed out, Mueller still has the power to "issue a report making referrals or recommendations to the House of Representatives." "All they get to do is write a report. They can't indict. At least they acknowledged that to us after some battling, they acknowledged that to us." Take note: Giuliani has been particularly candid with the media, and has had to "clarify" comments he's made during cable news interviews in the past. Earlier this month, Trump also remarked that Giuliani is still “learning the subject matter” and getting his “facts straight” regarding the president's legal matters.